Mr. East is a former baseball pro, and he has been listing his picks on this site since 2008. In that time frame, he has made his mark, not just in baseball, but in a bunch of sports. In fact, there’s a strong case for his strongest sport not even being baseball. But we’ll get to that. First off, East is unique in that he doesn’t make you choose between short and long-term success. He brings both a long-term track record and a current hot hand. Most professional athletes-turned-handicappers will regale you with tales of their vast networks of information. East is a professional athlete-turned-handicapper who isn’t looking to impress with anything but results. With results like his, he doesn’t need to. East has four different #1 finishes since 2008. Two of those finishes are in NBA handicapping, and another is in football. In all, East has 16 finishes in the top 10, three of which are All Sports finishes. He has notched top 10 finishes in NBA, NFL, MLB college football and basketball. That pretty much covers the big money sports, and Mr. East has a track record of success in each of them. But what about the “hot hand” part? Well, East is hitting at 59% in basketball, 60% in football, and 63% in college football. Every sport he bets is currently on a winning streak that has earned at least $1,000 in profit, and as much as $3,400. And that’s just on $100 bets. 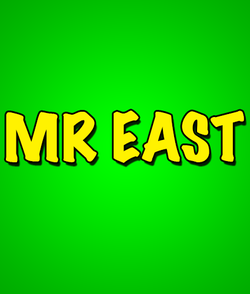 What this all means to you is that if you subscribe to Mr. East, there is almost no way to lose.